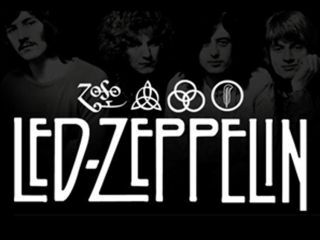 Led Zeppelin's longtime promoter Harvey Goldsmith has warned the band not to go ahead with a reunion tour. Speaking at a conference in London this week, Goldsmith commented: "I certainly don't think they should do a big tour because I can't see the point of it." Goldsmith has been associated with the band since the 1970s, promoting some of their biggest shows, along with their O2 Arena reunion back in December. Reacting to John Paul Jones's confirmation that the band - sans Robert Plant - have been rehearsing with a view to touring with a new singer, Goldsmith questioned the motivation behind the band's plans. "If there's no compelling reason to do it, then they shouldn't do it," Goldsmith continued, "You've got to want to do it. Otherwise it's done for the wrong reasons, and when things are done for the wrong reasons, they don't work." Goldsmith also suggested that any further reunion gigs should be "cause related", adding "I think that there is an opportunity for them to go out and present themselves [but] I don't think a long rambling tour is the answer." And with regard to the prospect of Jones, Page and Bonham Jr going out on the road with a new singer? "I doubt it will be called Led Zeppelin."